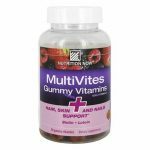 Nutrition Now Multi Vites Gummy Vitamins for Adults is made with natural flavors and colors. 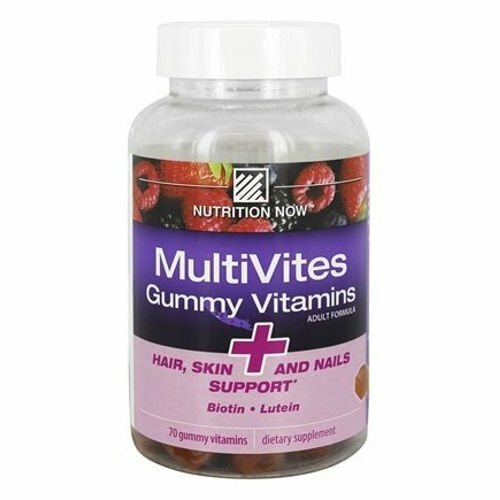 Nutrition Now Multi Vites Gummy Vitamins for Adults are delicious daily gummy vitamins packed with essential nutrients that may help maintain good health. 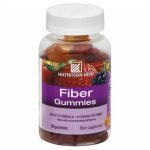 Naturally sourced berry, peach & orange flavored gummy vitamins. 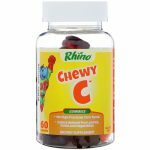 Other Ingredients: Glucose syrup, sucrose, gelatin, natural flavors, citric acid, lactic acid, colors (carrot and blueberry juices, annatto extract), fractionated coconut oil, and beeswax. Take only as directed. Do not exceed suggested dosage. 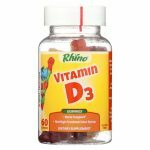 If you have a medical condition, are on medication or are pregnant or nursing, do not use this product. 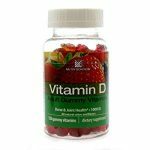 Seek the advice of a qualified health care professional before using. Do not use if inner seal is broken or missing. This product may settle during shipping. Store at room temperature. Do not expose to excessive heat or moisture. Natural colors will darken over time. This does not alter the potency of the product.